Not so long ago, the premiere of a new roomy sedan from Chevrolet. 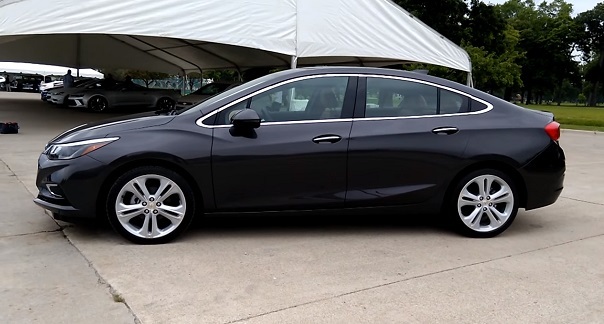 The Company provided the audience Cruze 2016 model year. A popular version of the well-known «American bestseller» has now become more modern and advanced. Model stuffed with the latest technology, equipped with powerful turbo engine and gave her a light and elegant body. 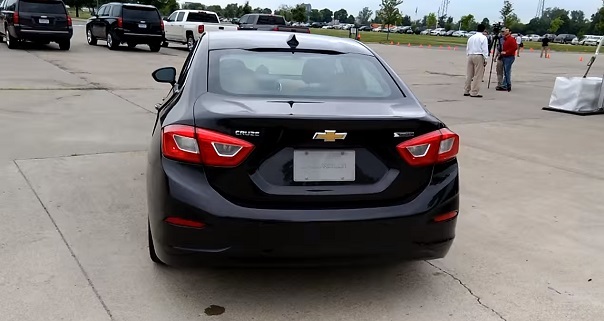 Examining the external changes in the restyled version of Chevrolet Cruze 2016 eye immediately catches the shape of the body. It is made in such a way as to minimize resistance while driving. This helped not only improve the appearance of new products, but also considerably save on fuel consumption. Developers Chevrolet Cruze worked out well above its aerodynamic properties, repeatedly testing the body in a special wind tunnel. • set the air intake on the center of the bumper. These innovations have helped make the car look more aggressive. Also, to achieve this effect contributed to the new lights in the form of arrows, located on opposite sides of the inlet. We should also note that the weight of the updated model has decreased by almost 110 kilograms when compared with the old version. This was achieved through the use of lightweight composite materials. Dimensions of the car increased slightly — by and large it comes to the rear of the sedan. It is possible to expand the interior space, thereby eliminating all discomfort for passengers. 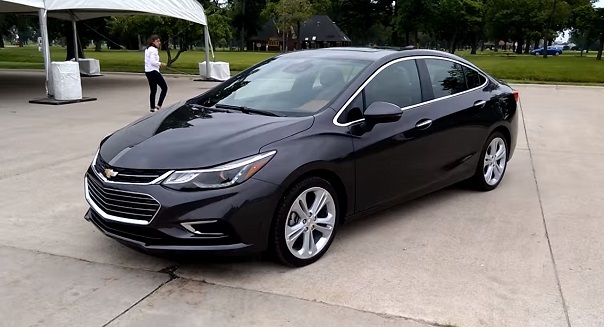 Internet is full of pictures of the new Chevrolet Cruze, which can estimate the changes that have affected the salon. Upgrades begin with new console and the shift lever position — it is located closer to the driver and slightly elevated. This makes switching more comfortable. Built-in media MyLink system will not force passengers to miss the road. All the information will be displayed on the large 8-inch monitor. It is stated that this system will be supported by Android, and KarPley. We also know that only some of the set (and not all the cars) will be equipped with media innovations — this makes it possible to save those who are on a tight budget. Touching on the theme of comfort, it is worth noting that he was in Chevrolet Cruze is more than adequate level. Both the driver and passengers will feel great in the cabin. Special driver’s seat is equipped with lateral support, which is why there was a perfect combination of hardness and softness. The materials chosen for the interior trim only expensive and quality materials. For example, for covering seats used leather. The distance between the rear and the front seats has been increased to 917 millimeters. Already aware of the fact that the updated Cruz will be produced in only a few trim levels, two of which engineers have been able to determine. It is a 1.4-liter engine with an output of over 150 horsepower, as well as the 1.8-liter naturally aspirated engine with a rated power of 140 horses. In the near future there will be a new diesel engine, which will be more powerful and economical. For all trim levels will be used front-drive platform. Suspension of the car is made of a special lightweight alloy, while the steering easier by adding a hydraulic amplifier. Fuel consumption is quite small — only 5.8 liters per hundred kilometers. This figure applies to all complete sets. The US market is not really in a hurry to get a new product from Chevrolet. Manufacturers this is not in a hurry, claiming that the car will be released only in the spring. In Russia, Chevrolet Cruze purchase is impossible. This is due to the fact that the Russian car market has left General Motors.